To start off, this review was made almost two years when the movie was first shown. Why did I have to wait that long to watch this? Only reason was because of Andrew Garfield as its lead actor. I saw his performance in the the Amazing Spiderman and I was not impressed with him. Even if I heard from critics how the great film was, I didn't watch it still. Now present time, I had finally had the time to watched it. OMG, I was so effin wrong about Garfield. 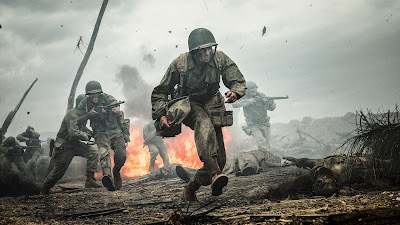 He had provided for a great performance here as Desmond Doss. A religious guy who wants to go to war and would not kill, nor carry a weapon. What? Go into a war without killing? As the protaganist says, he wants to save lives and not take them. He enlists as a field medic in this true to life story. In reversal of Dunkirk (which we reviewed earlier) this film has tons of back stories. Starts when Desmond was growing up, His father's dislike in war (he was a war veteran), How he fell in love and what Desmond had to go through in the training camp. These back stories filled most of the film and usually I hate these, so watching it a full hour made me wonder if this would be a boring film. The back stories were surprisingly great in establishing the characters and will be appreciated when the other half shows the actual war in itself. A great moment in the back story is of how Hugo Weaving was able to save his Son, Desmond from the Court Martial. I would never guess Weaving to be this forceful since appearing in Lord of the Rings and the Matrix. His acting here was top notch and another surprise next to Garfield. Another acting surprise herein comes from Vince Vaughn. We know him from various comedic films and he's very good at it. He was like a young Kevin Costner (old Kevin is far more better - more of him in future write ups) when all characters seem to be the same when you watch him. He did an acting triumph here as Desmond's drill sergeant. Unlike other drill sergeants that mock, hail invectives to the trainees, he was was pleasant yet forceful. I don't know to explain it, but his approach to the character somehow different was effective at the same time. Kudos to Vince Vaughn for this. Now after the backstories end, they were shipped to Hacksaw Ridge (you noticed I mentioned the film title midway? I was just following the film was made) in Okinawa. This is where Mel Gibson's mastery of violence came in handy. It portrayed the true and gory details of war. It's too gross to mention, but hey, its war, so imagine the horror of it while reading this (or watch it to see the actual thing). 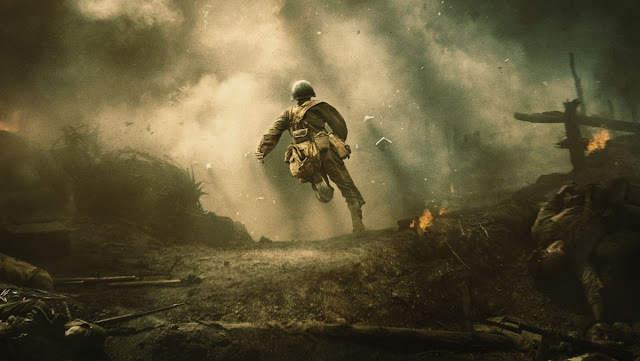 This part of the film showed the heroics by Desmond Doss. Still true to his faith, he did not hold on to a weapon (except when he made a makeshift stretcher) yet he was able to save 75 injured men even under heavy fire from the Japanese. He also saved a number of people from a grenade that was thrown at them which also wounded him in the process. Talk about heroism. Overall, I was wondering till now how a film that portrayed a religious man not a religious film. It didn't come out that way, but it was about faith. Of one man's faith and stuck with it, having one's moral compass and stayed true to it. 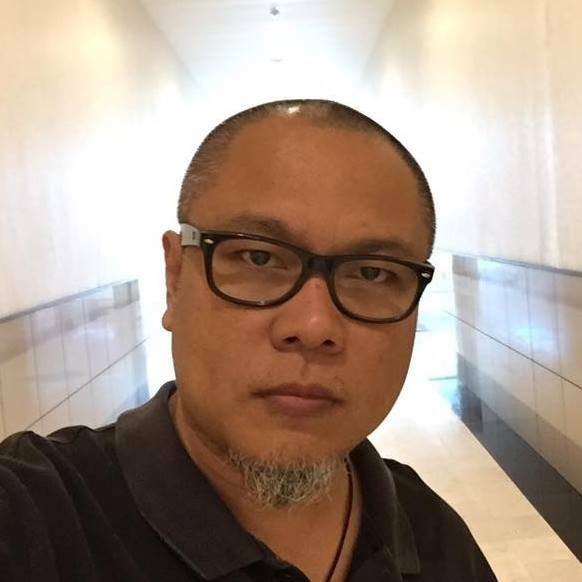 Of one man's struggle to overcome hardships and ridicule and yet garnered the respect from the people who gave him those hardships and ridicule. 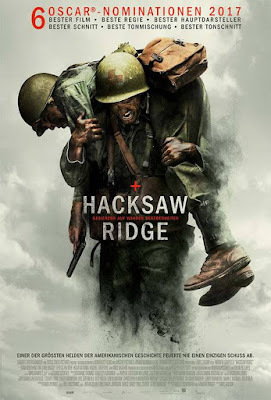 Also another challenge was for it's director Mel Gibson, how to show the violence of war yet its protagonist did not carry a weapon to begin with. What an awesome feat from Gibson this film is. 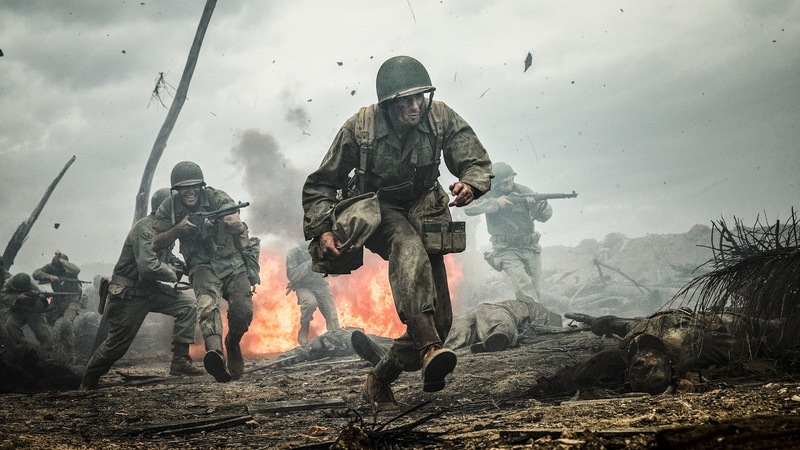 A different kind of war film that truly struck this writer. I was like Captain Glover (played by Sam Worthington) who doubted Garfield in this film. Boy I was so wrong about him. Like Captain Glover, I say sorry and give respect to Andrew Garfield's performance here. Other cast members also provided good acting here and I can't nitpick anyone who did less and was just standing around. All of them were in it doing a good job and made the film to be great as what everyone including myself has regarded it to be. Of the six academy nominations - it won 2. Best Sound Mixing and Best Film Editing.